After settling down and finding the one person that you have fallen in love with, then later starting a family and living your life as a full-time Mommy, everything begins to change. Starting a family and raising your children can be one of the most beautiful things in life that you will ever experience. However, reality sets in and you may unfortunately later realize that you have lost a part of your prior identity. Too many women, losing a part of your identity can be detrimental to your overall psychological and even your physical health. Some women end up becoming so severely depressed because of their overall physical appearance. Being in a depressive state and feeling down about yourself can definitely change you and even change your life for the worst. According to the Huffington Post, a study showed how about 4 in 5 women in the country of Australia suffer from having low self-esteem due to being unhappy with your body image. Also, because of being unhappy with their body image many women have also resulted in avoiding and participating in important life events. Surprisingly, being unhappy with your body image can cause you more harm than good. Sadly, there are many women who have also avoided living their lives because of how they felt about the way that they look. If you are unhappy with the way your body looks and feel that your lack of self-esteem has been holding you back in life, you may want to opt in for plastic surgery. Fortunately, plastic surgery has been able to help many women returned to the way that they used to feel about themselves. Plastic surgery has been able to restore the appearance of your old self, where you felt most confident. 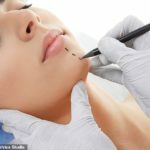 According to Plasticsurgery.org, reports indicate that more than 1.8 million cosmetic procedures have been performed in the year of 2017. Studies also show that every year there are more women who are opting in to have a cosmetic procedure done to improve their appearance. Fortunately, you are able to improve your life by simply improving your overall appearance. The better you feel about yourself, the better you are as an individual. Take a look at some of the things that you are unhappy with about your body and your image and consider changing it. For example, if you have been unhappy with the appearance of your motherly breasts, you may consider enhancing your appearance of your breast by simply getting a breast lift. Getting a breast lift is simply the more natural way of enhancing your natural body’s beauty. Take time to consider conducting research on the web to find out more information about breast lift la jolla ca. A cosmetic procedure such as a breast lift can definitely bring you back. If you are opposed to having implants in your body, then you can opt for a more natural approach. Improving your overall physical appearance can do more for you than you will ever know. It will allow you to be able to regain your self-esteem, your confidence and can also restore who you used to be.